Karen Simpkins was released at 2 a.m. last Tuesday to the care of the city’s main homeless shelter. Shelter officials reported that Simpkins left the facility at 6 a.m. after she was told she could not sleep on a day room cot. She was found dead in a small park across the street from the shelter that afternoon wearing only hospital scrubs, hospital socks and a hospital bracelet. On Saturday, The Brew wrote about the frustrations of her sister, Angel Settle, in obtaining information about the circumstances of Simpkins’ death. Late yesterday, UMMC issued a written statement that denied responsibility for Simpkins’ death, while providing no specifics as to the hospital’s role in treating and discharging the patient. Last January, the same midtown campus was thrust into the national spotlight when a viral video showed a disoriented woman released by security guards into 30-degree weather dressed only in a hospital gown and socks. UMMC president Mohan Suntha apologized for that incident, which critics called an example of “patient dumping,” or the release of homeless, medically ill or indigent patients to the streets. The University of Maryland Medical Center is saddened to learn of the passing of Ms. Simpkins. While we are legally precluded from addressing questions regarding specifics of any patient or the accuracy of claims put forth by other parties, we challenge the unfounded speculation that UMMC contributed to her death. We are fully committed to caring for all members of our community with safe, appropriate and compassionate care, including having processes in place to ensure that no patient is discharged to a shelter without verifying that the shelter has the capacity for them. We encourage Ms. Simpkins’ sister to go through the proper process to allow us to share any information we have. But Settle said that UMMC “has not shared anything with me” despite her best efforts. Settle, who lives in Bowie, said she has physically gone to the midtown campus and has called UMMC offices repeatedly. “I’ve gotten shuffled around, and when I finally got to patient information, they said it wasn’t their role to talk about patients who had been discharged,” Settle said. 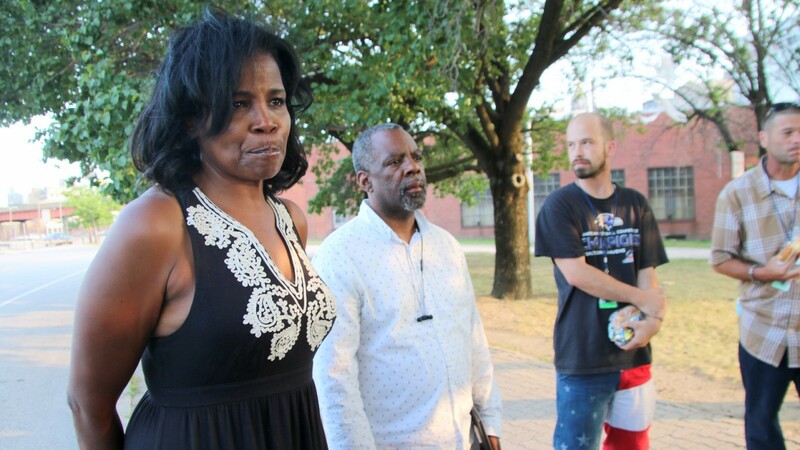 She also sought information from Baltimore Police, who were at the scene, but has not gotten very far because the detective in charge of the case has been on vacation. Last night, Rena Daly, media relations manager for Catholic Charities, which operates the Weinberg shelter for the city, provided this timeline of Simpkins’ last 24 hours. 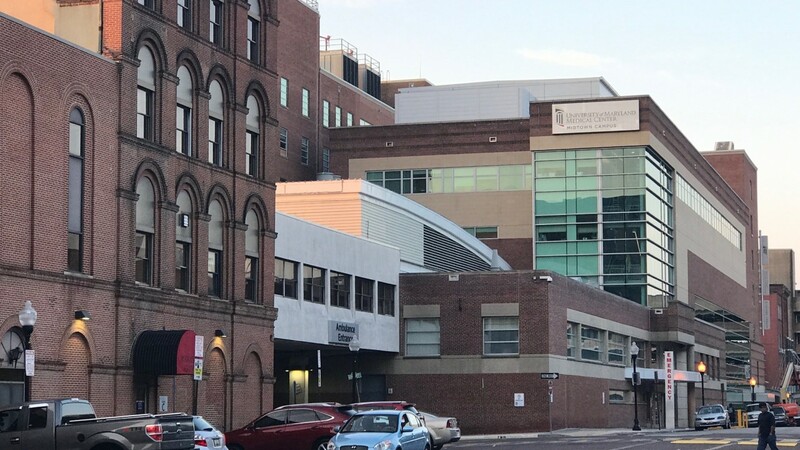 On Monday, Simpkins fell near the shelter and was taken by ambulance to UMMC’s midtown campus, the former Maryland General Hospital. She was returned by taxi to the shelter at 2 a.m. – “groggy” and dressed in scrubs, hospital socks and without any specific note from a doctor, Daly said. She was placed in the “day room,” which is turned into a sleeping room at night. At about 5:30 a.m., she was awakened by staff as they began converting the room back to its daytime use. “Sleepy” and “apparently not feeling well,” Simpkins tried to go back to sleep on another cot, according to Daly. She was told, twice, to get off the cot and go have breakfast. “She got up, and instead of going to eat breakfast, she left the building,” Daly said. Hours later, a staffer at the shelter saw Simpkins lying in the park and appearing unresponsive. Police were called, and she was pronounced dead about 3:30 p.m. Police told The Brew she showed no signs of trauma. Lisa Clough, media director for UMMC, was asked to respond to Catholic Charities’ account of Simpkins’ attire and “groggy” condition when she arrived at the homeless shelter. How much housing discrimination to allow? None! “Fee-churning” by Morgan Properties Management Company, LLC hurts renters in Baltimore and beyond, lawsuit says.